Capable of operating in the fA range at voltages up to 30V, Wentworth’s low leakage epoxy probe cards deliver ultra-low leakage measurements. Achieving small pitches down to 50 µm, they are suitable for a range of operating temperatures with superior performance. 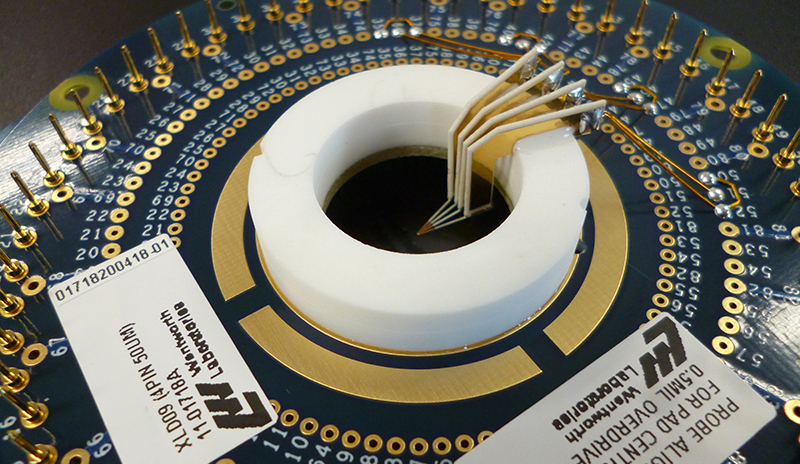 We design low leakage probe cards for use with all major parametric analysers including Keithley or Keysight. Working with a variety of superior engineering materials, we can accommodate most requirements demanded by specialist applications. We can work with all major probe needle materials including Tungsten (W), Tungsten Rhenium (WRe), Beryllium Copper (BeCU) and Palladium alloy (Pd). 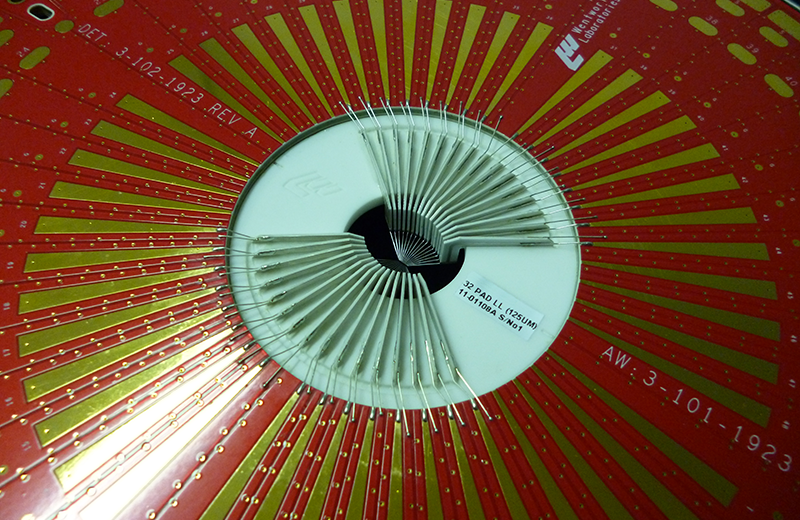 We assemble, clean and test our low leakage probe cards to tightly controlled specifications. Extensive leakage testing, using parametric analysers is carried out to verify the continuity and leakage characteristics of each probe card. Proven design techniques enable us to achieve fA performance without always having to use a dedicated low leakage board. 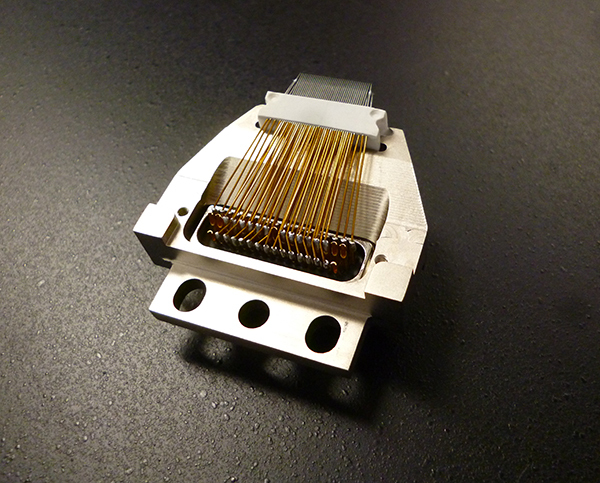 This means in some cases we can increase the performance of your own existing board designs for low leakage testing.